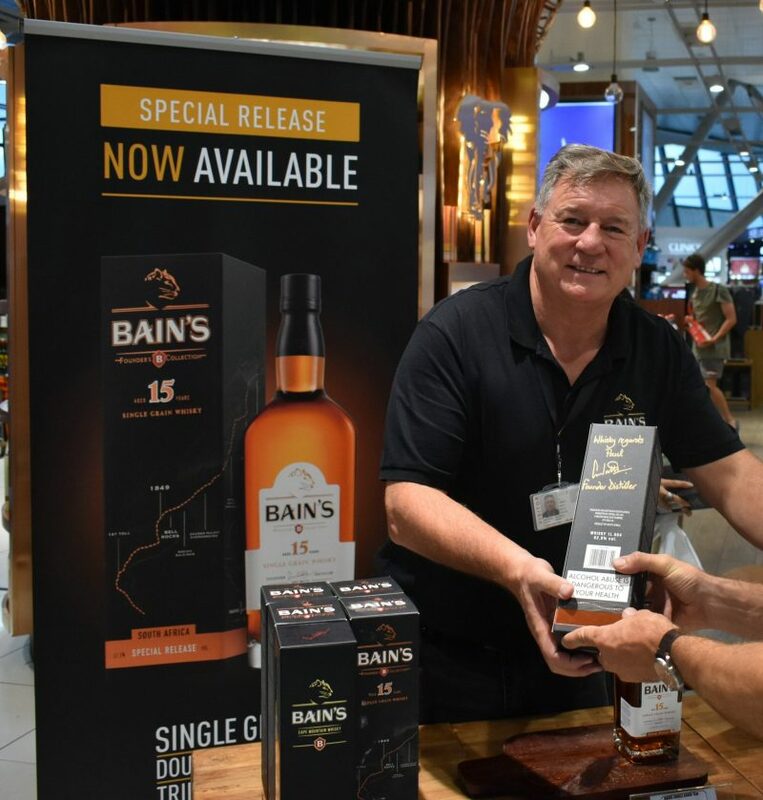 Bain’s Cape Mountain Whisky, the proudly South African and internationally award-winning single grain whisky, has launched a limited edition 15-Year-Old Single Grain Whisky exclusive to duty free shoppers at O.R. Tambo International Airport. Only 3,600 bottles have been made available with the first bottles sold signed by Founder Distiller, Andy Watts. Crafted at the James Sedgwick Distillery in Wellington about an hour’s drive from Cape Town, South Africa, the 15 Year Old is the first of the Founder’s Collection series of whiskies launched, showcasing the exceptional quality of South Africa’s sun-kissed grain whisky. 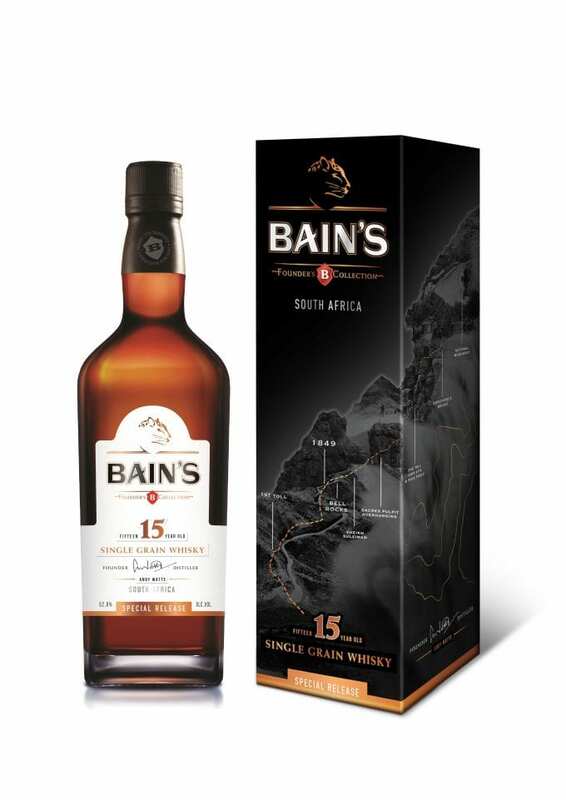 The 15 year old single grain whisky started its life off as Bain’s Cape Mountain Whisky and spent an additional 10 years maturing in older American oak to reveal new depths and layers of flavour and smoothness. Andy says Bain’s Cape Mountain Whisky is one of his finest whiskies he has ever created and when launched in 2009 he knew then that it would only be the beginning for this whisky. 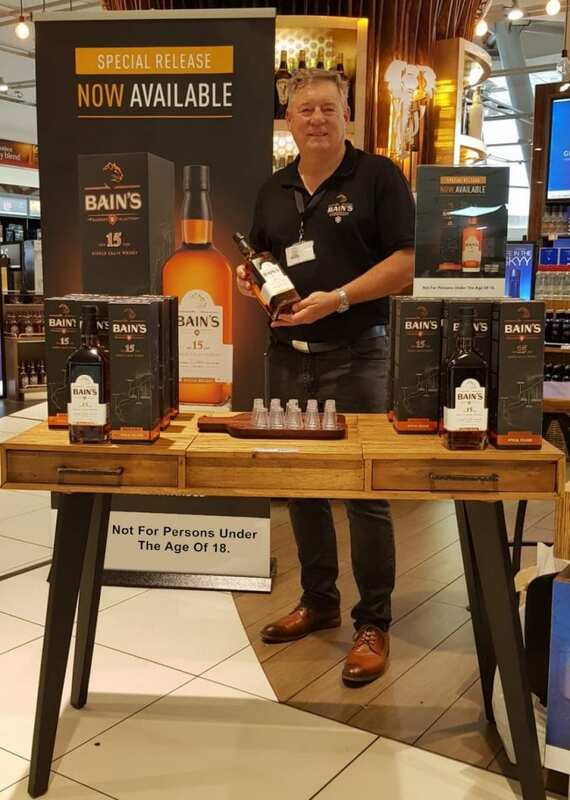 Bain’s Cape Mountain Whisky was awarded as the World’s Best Grain Whisky at the 2013 and again in 2018 at the World Whiskies Awards held in London along with as a host of gold and double gold medals at all the major international whisky competitions. It is the only whisky in the world to be made from 100% South African sun-kissed grain, and double matured first for three years in casks previously used for the maturation of bourbon before being revatted into a fresh set of ex-bourbon casks for double the extraction of flavour. “And my curiosity certainly paid off! I re-vatted the Bain’s into 3rd and 4th fill American Oak and for 10 years regularly tasted the whisky to track its progress. At 15 years, the whisky was at its most optimum. Bottled at a strength of 53.4% Alcohol by Volume, the whisky’s complexity and flavour driven profile shines through.” Dark amber in colour, soft floral notes intertwining with spice, tropical fruits, banana and teak aromas open-up on the nose. Sweet butterscotch, raisins and banana loaf flavours coats the mouth with a complex, smooth and delicately lingering taste. The finish is warm and spicy with an incredibly smooth and silky mouthfeel. This first in the Founder’s Collection series pays tribute to Andrew Geddes Bain who built the Bain’s Kloof Pass, one of his most spectacular mountain passes constructed across South Africa. Completed in 1853, the pass winds through the Limietberg Nature Reserve with sharp hairpin bends and to this day remains one of the most picturesque routes in the Cape. The tribute to Bain will continue over the next few years when the Founder’s Collection will see a number of limited release single grain whiskies launched, featuring the magnificent passes he built. The whisky will be available in the BIG FIVE duty free shops at O R Tambo Airport until stocks last and retails for ZAR 950 / US$ 70.